This is one of the fusion dishes. 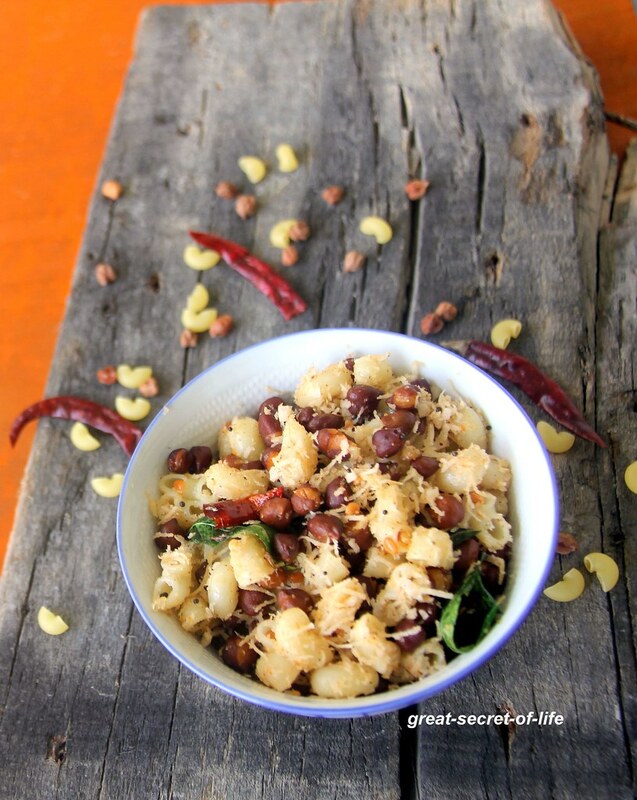 It definitely will impress your little guests as it will have their favourite pasta. 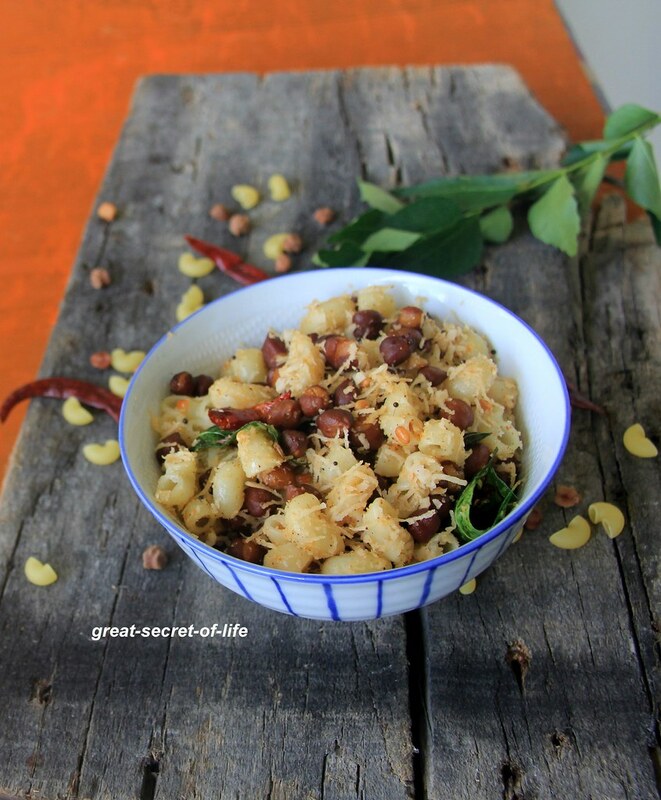 It is one of the dishes which can feed your choosy eaters. This is a perfect starter for your party. 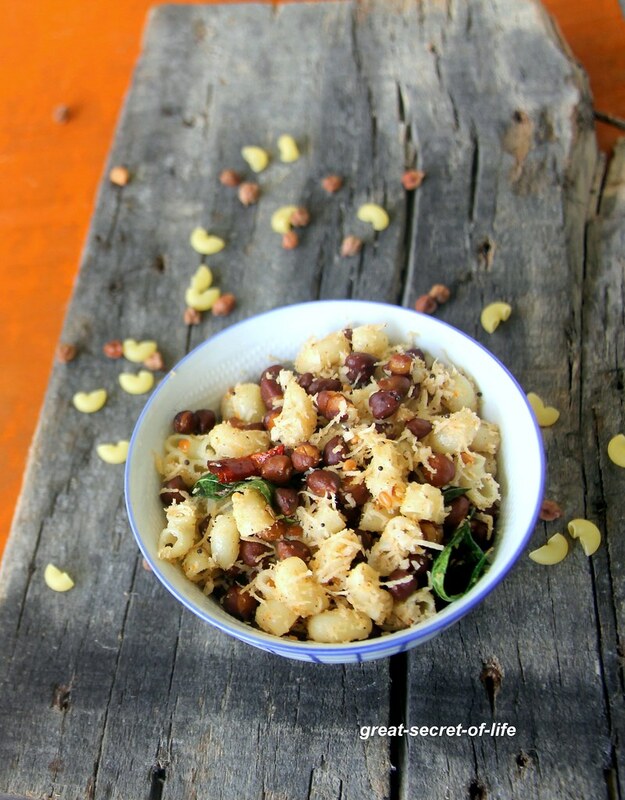 I have used black chickpea but you can add any whole bean. Make sure the bean is nicely cooked and not so mushy. Same for the pasta too. 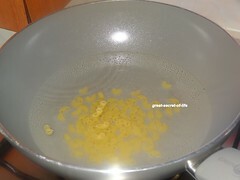 I have added 1:1/2 portion for bean to pasta. You can adjust based on your preference. I have used Dabeli masala for seasoning it. 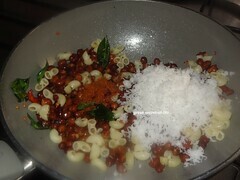 However you can use Sundal masala or your favourite seasoning. 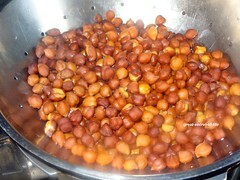 Wash and soak chickpea for six hours or overnight. Cook it with salt. Drain the excess water. Keep it aside. 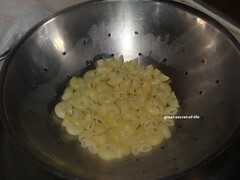 Cook pasta as the instructions say and keep it aside. Heat oil in a pan. 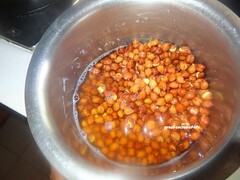 Add mustard seeds and let it pop. 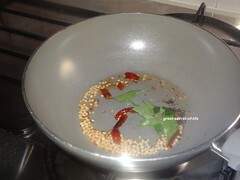 Add cumin seeds, urad dhal, broken dry red chilies and curry leaves. Fry until dal is brown in color. 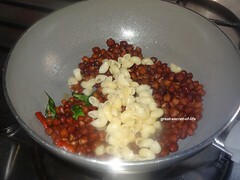 Add cooked chana and pasta. Mix well. 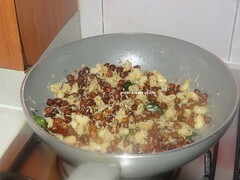 Add coconut, dabeli masala. Mix well. Cook for another 3 mins. healthy fix for kids as after school snack,perfect!